One of the most significant and obvious examples of how mobile communication influences our understanding of time and space is how we coordinate with one another. Mobile communication enables us to call specific individuals, not general places. Regardless of location, we are able to make contact with almost anyone, almost anywhere. This advancement has changed, and continues to change, human interaction. Now, instead of agreeing on a particular time well beforehand, we can iteratively work out the most convenient time and place to meet at the last possible moment--on the way to the meeting or once we arrive at the destination.In their early days, mobile devices were primarily used for various types of emergency situations and for work. In some cases, the device was an essential element in various business operations or used so that overseas workers could communicate with their families. The distance between a remote posting and the people back home was suddenly and dramatically reduced. People began to share these devices not necessarily out of economic issues, but also questions of family and interpersonal dynamics.The process of sharing decisions as to who is a legitimate partner makes the nature of relationships more explicit. By examining the economy of sharing, we not only see how sharing mobile phones restructures social space, but are also given insight into an individual's web of interactions. 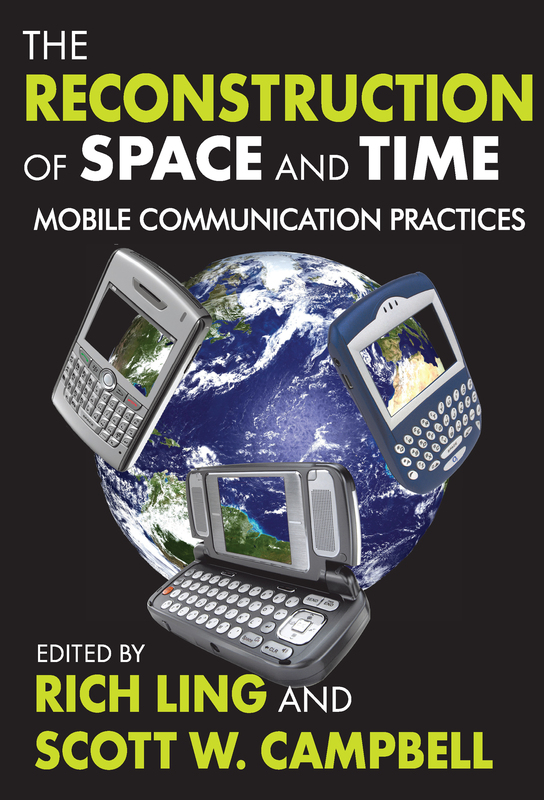 This cutting-edge book deals with modern ways of thinking about communication and human interaction; it will illuminate the ways in which mobile communication alters our experience with space and time.